You have probably lost count of the number of times you’ve heard about how breastfeeding is the best. Sure, it was a bit easy while you were enjoying your maternity leave. But what happens when you come back to work? In Singapore, eligibility and entitlement of maternity leave is dependent on employment status. It is of utmost importance to know what is applicable to you as soon as possible. This will prepare you for the breastfeeding journey long after the maternity leave is over, should you choose to continue. 1. Prepare your breastmilk storage paraphernalia. Most moms use electric or manual breastpump to express milk. Recently, some moms have been doing the marmet method, known as hand expression. Tutorials are readily available in the internet. Choose and try practicing what’s convenient for you. Likewise prepare your storage containers, ice pack and insulator bag. Read up on proper storing and transporting of milk. 2. Express around the clock. Set and follow your schedule of expressing milk to maintain your supply. Manage your time especially in the office so that you can express milk during break time. Squeezing in sessions at home while your baby is asleep will also make room for more stash. Be sure to label the containers with time and date of expression. Remember the “first in-first out” rule. 3. Teach the babysitter about proper handling of expressed breastmilk. Your breastmilk is liquid gold. Nothing, not even a single drop, must be put to waste. Orient your caregiver or whoever will take care of your little one while you’re at work, on the swirling of breastmilk, on how to thaw it and on giving just enough milk for one feeding; otherwise, the leftover milk which you painstakingly expressed will be spoiled. 4. Spend time with your baby as much as possible. If you are determined to continue giving breastmilk to your baby while you are working, this should come easy. Nurse your child whenever you are together. Reserve your stash only for those days that you will be at work so you will have enough left. Avoid unnecessary trips away from home when you haven’t built your stash yet. Maximize time with your child. After all, they are just babies for a short time. Before you knew it, they will be toddler already, exploring the world on their own. The moment you decide to continue giving breastmilk to your child even if you are at work clearly shows how willing and determined you are. Rest assured that your sacrifices will be rewarded by your little one as he continues to grow healthy, filling your heart with the joys of motherhood! 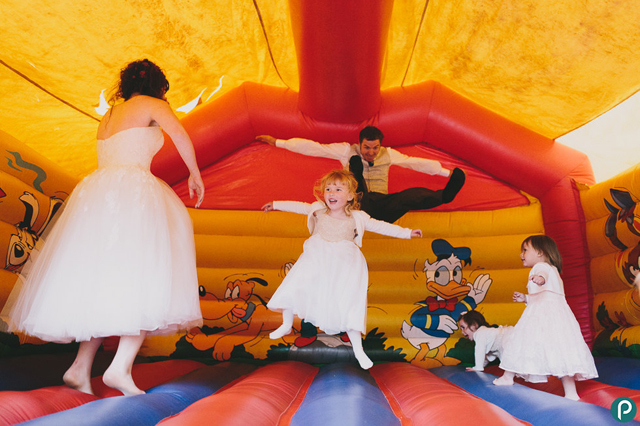 Entertaining kids at weddings is one of the most asked bridal dilemmas. Why? Because, apparently, kids are picky and gets bored very easily. A wedding day can be incredibly long and boring for children, so expect to see plenty of whining, sleeve-tugging, and early departures if you don’t put enough thought on the entertainment of your little guests. To save your dear friends from the problem of pacifying tantrums, have a collection of these fun activities prepped and ready for your little guests. You want to wow the kids so they would want t stick to their table while the rest of the wedding program is happening. You can use a paper tablecloth where they’re allowed to write and draw all over. And instead of flowers, have bouquets of sweets and treats as table centrepieces. 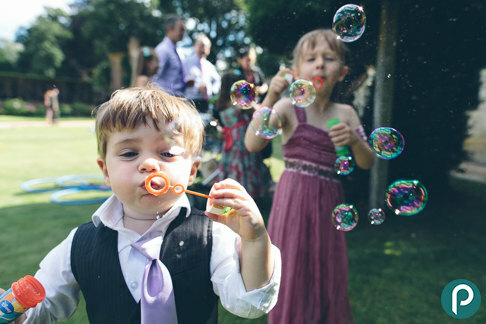 Kids love blowing bubbles, so make use of it to keep the little ones occupied. Plus, bubbles last a while, are not messy, and look stunning in photographs—not to mention they’re incredibly cheap, too. From a balloon artist to a clown, there are plenty of kids entertainers that you can book to keep your little guests from boredom while the adults party the night away. If hiring a professional entertainer seems too costly, tap a family member or a friend who might love to present a puppet show for the totes. 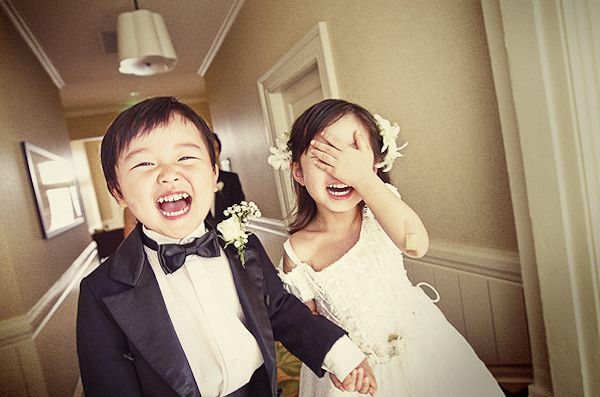 If you’re expecting just a handful of children, give them the task of being your wedding photographer. Provide them a list of the things to photograph along with a disposable camera. You may be surprised of how artistic the children can be in photographing you on your big day. P.S. Hiring a professional photographer is still necessary. Creating a separate space for the kids at your wedding is a great way to keep them all in one area (where their parents can see them)—plus it gives them the independence from the parents, which what kids want. Provide them with snacks, games, and baskets of mixed toys, and chances are you won’t hear a peep from them for hours. Weddings, while fun and joyous affairs for adults, tend to be tiring and boring for the little ones. However, if you’re prepared with ample entertainment sources, it’s certainly possible to celebrate your wedding peacefully and blissfully with kids.